Miss your flower garden? These winter flowering plants will brighten up your home and help you to survive cabin fever. Just because the temperature has dropped, don't miss out on the wonder of growing flowers. Here you'll discover quite a few good indoor flowering plants to carry you through the colder months. Florist shops and online flower delivery sites offer baskets bursting with tulips, daffodils and other flowering bulbs all winter long. Check them out. While you're at it, why not order flowers as gifts for your mom, a friend or neighbor, too? Crocus is among the first flowering plants to pop through the snow in spring. But why wait? You can indulge yourself with these enchanting flowers through the frigid months, too. Start forcing crocus bulbs in fall and you'll enjoy them mid-winter. And, why stop at a few? 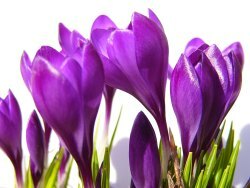 Force a few bulbs every couple weeks and you'll have a succession of bright, beautiful crocuses on your windowsill right through spring. Winter flowering plants need more light than most foliage plants. Give your indoor flowers plenty of bright indirect light every day. Just be sure to keep your plants away from cold windows and heat vents. 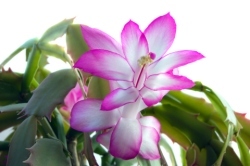 You'll find Christmas cactus in flower shops before the holidays. These Brazilian natives grow as epiphytes in the rain forest, anchoring themselves on tree branches. Although tropical by nature, Christmas cactus is surprisingly easy to please indoors. 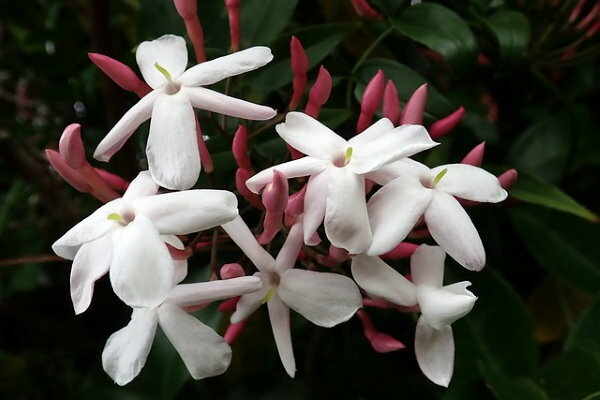 Jasmine plant is one of the first to arrive in florist's shops in late winter or early spring. Treat yourself to a pot of these intoxicatingly fragrant flowers. You can train its leafy vines to climb up a trellis and show off its delicate, star-shaped clusters of white blooms. Bright and beautiful Kaffir Lily is in the same family as Amaryllis, and is just as easy to grow indoors. 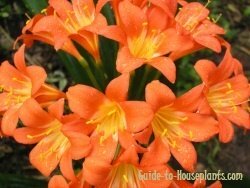 These Clivia miniata hybrids produce big clusters of trumpet-shaped flowers in orange, pink, red, yellow or white. Naturally a summer-bloomer, Kaffir Lily bulbs can be forced for early bloom indoors in late winter. 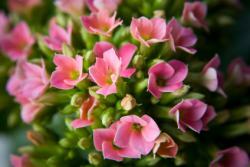 You'll find Kalanchoe in florist's shops mid-winter. Well, you'll see them for sale year-round. These beautiful bloomers are gaining in popularity as house plants. This semi-succulent plant is easy to care for -- and you'll enjoy long-lasting blooms. Those tiny, brightly colored flowers are sure to add cheer and thoughts of springtime for several weeks.